Mode: Candidates can submit the SSC CGL application form in online mode only. 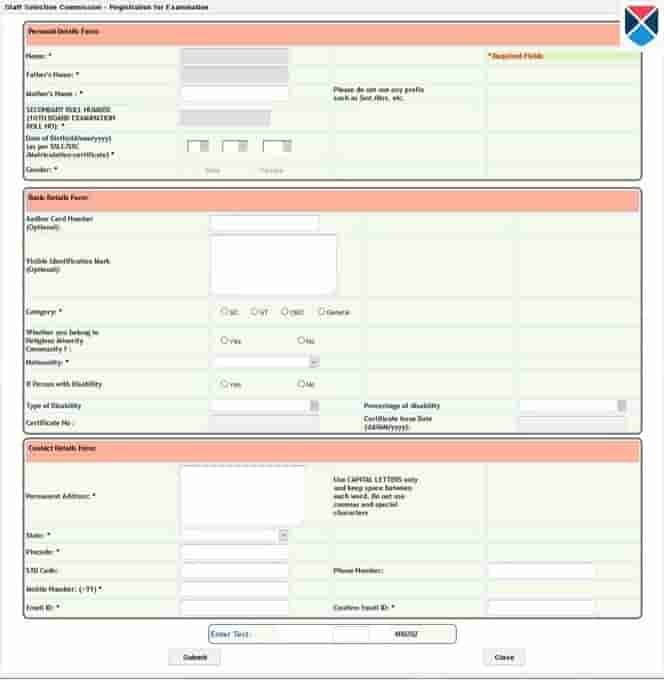 The application process should be completed online at the official SSC website. Availability: SSC CGL online application form was available on 10th May 2017 on the SSC official website at http://ssc.nic.in. Eligibility: Only those candidates who meet the eligibility criteria can apply for the SSC CGL Exam. Application fee: The Application fees for the SSC CGL exam is Rs. 100/-. Payment Modes: The payment can be made either online or offline by submitting a challan directly to the bank. Candidates can submit fee through SBI Challan/Net banking and Debit/Credit Card.